ZTE becomes the latest smartphone manufacturer to launch a gaming smartphone this year. Earlier, Xiaomi launched a gaming smartphone under its Black Shark company. The latest gaming smartphone from the company has been named as Nubia Red Devil. The Nubia Red Devil comes with a Full HD+ display and has a water chestnut shape. You can download all 7 ZTE Nubia Red Devil stock wallpapers from below in the original resolution in a Zip from below. The ZTE Nubia Red Devil comes with a 6-inch Full HD+ display with an 18:9 aspect ratio. The device comes with a Snapdragon 845 processor and a Qualcomm Adreno 540 GPU. The device also has 6/8GB of RAM and 64/128GB of internal storage. The Nubia Red Devil has an air-cooling system with 4 air vents at the back. The device comes with a 24MP rear camera and an 8MP front camera. Along with that, the device is powered by Android 8.1 Oreo-based Nubia Red Magic UI. The smartphone also has a 3800 mAh non-removable battery along with fast charging support. The Nubia Red Devil smartphone is available in Black Stone and Flame Red color options. ZTE has just launched the latest smartphone in the ZTE Nubia lineup of flagship smartphones. This smartphone has been named as the ZTE Nubia Red Devil by the company. As far as the Nubia Red Devil is concerned, it is the latest gaming smartphone to be launched in the market. Now, there are various important features in the latest smartphone from ZTE. One of the inclusions are the Stock Wallpapers designed by ZTE in the company’s latest flagship. Talking about the Nubia Red Devil Stock Wallpapers, the company has packed 3 uniquely designed wallpapers for this smartphone. All of the 7 wallpapers have a red and black theme and are inspired by the likes of Xiaomi Black Shark and other gaming smartphones. 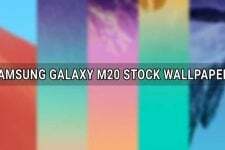 The wallpapers are available in an 18:9 aspect ratio that is available on most of the 2018 flagships. The resolution of these wallpapers is 1080 x 2160 pixels and in Full HD+ quality. 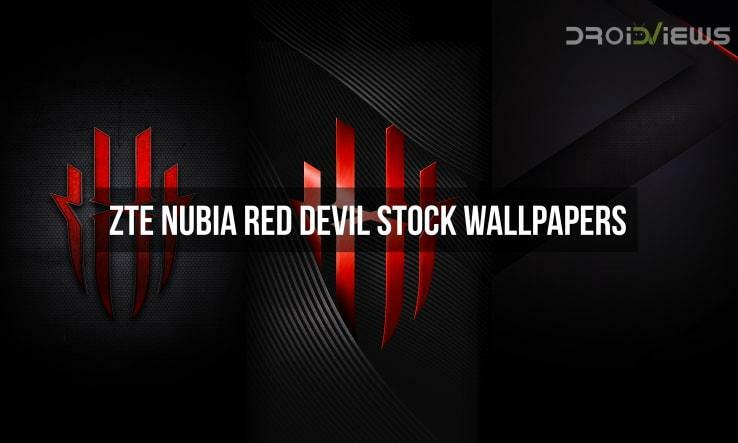 You can now download the zip files containing the Nubia Red Devil wallpapers from the download links section below. Once the zip file has been downloaded, you need to just extract the wallpapers on your device to enjoy them. If you love wallpapers and want more of them, DroidViews is the best destination where you can find thousands of beautiful wallpapers in full HD, quad HD, and 4K resolution. Don’t forget to browse our Wallpaper Section before you leave.